The Four Seasons offer fresh, hand selected vegetables purchased daily from wholesale markets in Belfast, Northern Ireland. We have a long standing relationship with local farmers which again means we can access top quality local produce at a competitive price. •Hot Food Finger Buffet - chicken goujons, southern fried goujons, honey glazed cocktail sausages, posh pizza slices, spicy chicken wings, mini quiches, mini sausage rolls, bruschetta bites, seasoned potato wedges, baked potatoes. Please contact us on 07935 688128 for more information . Fresh fruit deliveries to your office. Delivering fruit to keep your staff happy and healthy. Deliciously fresh seasonal fruit delivered to your premises every week to keep your staff happy and healthy. Fuel productivity, enhance employee wellbeing and save staff time from snack hunting every day. Make a positive impact on staff morale and help beat 'energy slumps'. Deliveries to Belfast City Centre & Titanic Quarter every Monday and Wednesday. Call Order Hotline 07935 688128 to arrange your first delivery! Fantastic service this morning for 2 x hampers. Great job. Helpful and friendly staff. 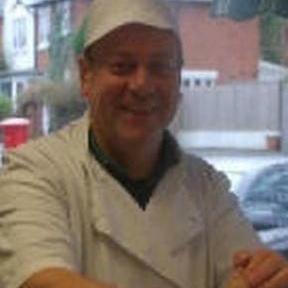 The Four Seasons was established in 1979 as a family run business specialising in greengrocery and delicatessen. Our aim from the beginning was to offer quality produce and this standard is still maintained to the present day. We pride ourselves in providing support to Local Suppliers and Producers such as Broighter Gold Rapeseed Oil, Clandeboye Estate Yoghurt,Ewing’s fresh fish, Melting Pot Fudge, Erin Grove Preserves, McCanns Harvest Apple Juices,DJ’S Apple Juice, Ditty’s Irish Oatcakes, S.D. Bell’s Tea & Coffee, Abernethy Butter, Suki Tea, Ready to Bake Wheaten Bread from Our Daily Bread and Glastry Farm Ice Cream. As a local Company Four Seasons like to get involved in the Local Community by helping Local Charities. Already this year we have helped:The McGaughey family raise funds for Marie Curie, Captain Gordon Tucker raise funds for the Salvation Army, Julie McCarthy raise funds for Gilnahirk Primary School, Lilias Smith raise funds for St. Columba’s Parish Church and Lauren Harris raise funds for the Colin Maxwell School of Dance.